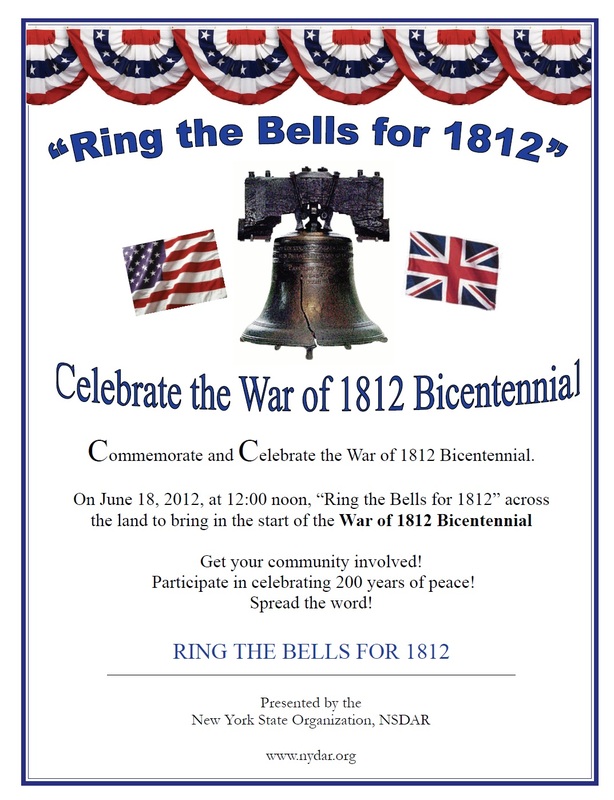 On June 18, 2012 at 12:00 Noon, the New York State Organization DAR is asking everyone to ring a bell in honor of the beginning of the Bicentennial of the War of 1812. 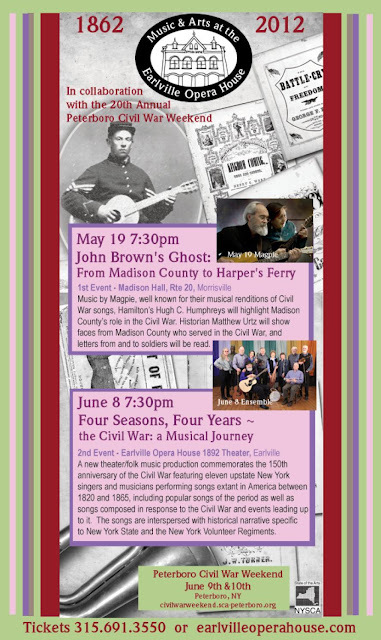 From my own research experience, there are many patriots who served in this campaign that today their service continues to be unrecognized. Countless soldiers of the War of 1812 rest in our cemeteries where there is no distinguishable marking to reflect their service to our Country. 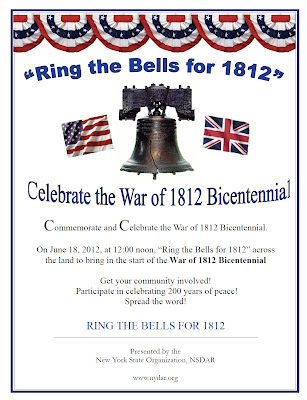 Please join the Owasco Chapter NSDAR and many other chapters across the Empire State in recognizing the soldiers of the War of 1812 by ringing a bell on June 18th at Noon. Interested in Civil War era music?